The first rule of cannabis coding: well, there are no rules...yet. 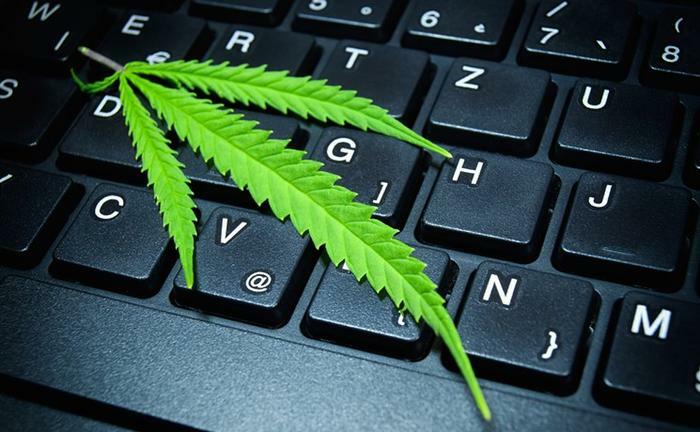 Legal cannabis is still very much the digital Wild West for coders. The Coffee Joint, Denver's only licensed pot lounge, has been hosting a series of sessions called CannaCoding, bringing industry professionals and prospective cannabis coders together to talk about the developing trade. The lounge initially teamed up with Jamison Ordway, a software engineer and regular Coffee Joint visitor, to give cannabis technology (dubbed "cannatech" by those who work in it) a meeting point. That meeting point, dubbed CannaCoding, was born in late 2018, and attendance has been growing. The third event, sponsored by notable dispensary brands, brought in five panelists from various cannatech companies on Thursday, January 17, to field questions about their experiences, with topics ranging from the industry's hiring future to how e-commerce will play a role in cannabis. Cannopy vice president of operations Nathan Glass believes that finding your niche in cannatech is just as important as getting in early. Glass and his team at Cannopy have focused on the potential of online cannabis shopping if and when federal cannabis reform happens. "You want to try to find the smallest valuable thing that you can change, make it, and prove that it works in the current environment,” he told the audience. “In the industry right now, sales are based on budtenders and people calling each other, but we’re trying to make an e-commerce marketplace. ... I see a generation now where people shop online for everything. You may not need as many budtenders [one day]." The Coffee Joint's most recent CannaCoding session featured industry professionals from Cannopy, Vangst and Flowhub. But as happens with virtually every sector of the pot industry and the businesses that serve it, evolving regulations around commercial cannabis are still hampering advancement. Each developer on the panel expressed frustration about working on projects for weeks, only to be told they were no longer relevant thanks to a subtle change in regulations. Because everything can change so fast, Schulz emphasized working in a lean environment with an agile team that can respond to change quickly, and looking at the brighter side of a hectic atmosphere. “We get to guide how the industry develops, which is a really, really cool opportunity,” he said. Panelists predicted that as the industry continues to grow, opportunities will arise from changes in manufacturing, e-commerce and states' seed-to-sale tracking processes. Certain tasks, like manual data entry and compliance monitoring, may be replaced or streamlined, according to Ryan Budny, a developer for Flowhub. “What we have seen allows dispensaries and grows to re-allocate labor and have fewer compliance people. A job that would have taken three hours of manual data entry now takes a button click. That is one concrete example,” he said.